Sugar Addiction: Fact or Fiction? Do you have a “sweet tooth”? Do you struggle to stop eating a sugary treat once you’ve started? Do you find that you crave sugar, and crave it more when you eat more carbohydrates and sweets? Have you ever crashed from a sugar high? Personally, I can check “yes” on all of those boxes. Yes, yes, yes, and yes. I think we can all agree that sugar has garnered a terrible reputation over the last few years. After the anti-fat scare of the 70’s, 80’s, and 90’s, the lens of food demonization was quickly turned on sugar and carbohydrates. There is literally a best-selling book called The Case Against Sugar, by Gary Taubes. 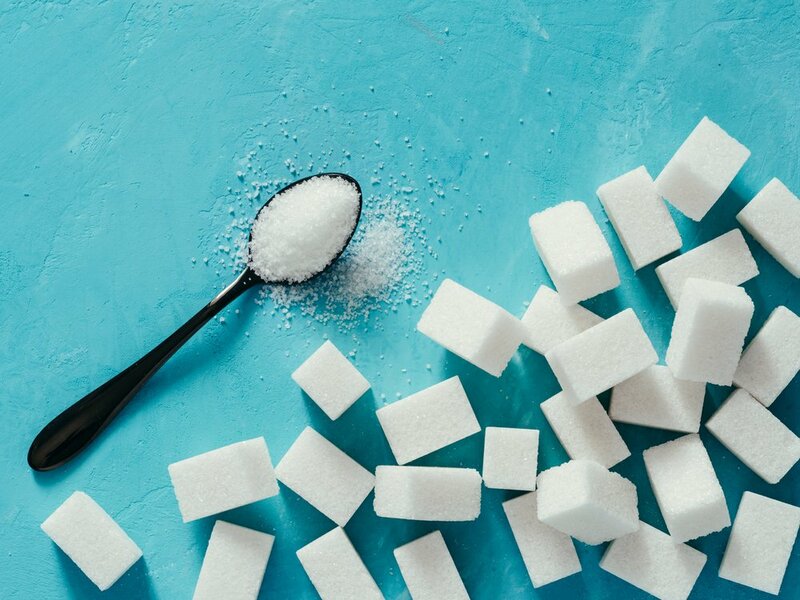 Now, considering how quickly fads can come and go (courtesy of Facebook and the demands of the news cycle), many of my clients and friends are left genuinely confused – can you eat sugar as part of a healthy diet? Personally, my answer is a qualified “yes,” with some important caveats. 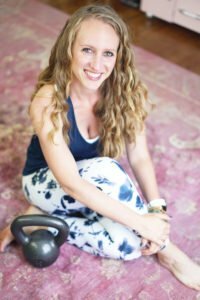 However, as I’ve written about before in my blog post “Trigger Foods, Clean Eating, and Leveling the Moral High Ground,” these boundaries can be effective if you are making your very first attempts at improving your diet and health, but they often run out of steam in long-term application. Sugary foods – and, by extension, carbohydrates – are convenient culprits for addictive eating. It’s easy to pin the blame on one substance and micromanage your diet so that you primarily avoid that one thing – much easier than looking at the full constellation of your eating behaviors and habits. However, seeing the big picture is worth it, because it will give you the keys to unlock meaningful change, and give you far more freedom in your eating. They not only contain sugar, but often also fat, starch, and/or salt. They are calorically dense (i.e. a small amount is disproportionately high in calories). *When we hear the word “processed” we often envision a franken-food like Cheetos or Twizzlers. However, processing is simply the act of transforming a food – for example, you could bake organic muffins at home, but they’re still composed of flour that has been processed from the original grain, sugar that has been processed from the original plant, and butter that has been processed from the original milk. I have never seen someone chewing on sugar cane for a snack. In other words, sugar is only one piece of the addictive eating puzzle. When these hyperpalatable foods hit our upper intestine, they cause the release of dopamine in our brains. Dopamine is a chemical that drives addictive behavior, because it motivates “reward-driven” behavior. Dopamine is the chemical that is largely responsible for drug abuse – once we activate an extremely strong dopamine-signaling pathway (which drugs and smoking definitely do), we just want to hit it again and again. On the subject of dopamine, don’t fall prey to Facebook memes that illustrate that sugar “lights up” the same part of the brain as cocaine. So does a hug, or petting a puppy. Dopamine is simply a reinforcement chemical to get us to do pleasurable things. On top of the chemical aspects of addictive eating, there is also the concept of a “process addiction.” A process addiction doesn’t involve an external substance, but is instead a habit loop that is based on an experience. This is how people can become addicted to gambling. Unlike smoking, gambling is a completely habitually-driven process of addiction. Once our brains associate an activity or a behavior with a reward, we can become dependent upon that activity for the release of dopamine, almost as if we are taking a drug. Unfortunately, eating shares these two qualities. While its chemical properties not as powerful or direct as a drug like cocaine, food shares with gambling the aspect of process addiction. It’s not just the sugar – we’re addicted to the feeling and experience of eating in a certain way. We’re not just craving a chemical, we’re craving the comfort and the ritual. So, yes, eating can be an addictive behavior, even if sugar isn’t the only culprit. However, it’s important to distinguish between addictive foods and actually having a food addiction. Food is an extremely loaded topic, so let’s take it off the table for a second and talk about shopping. What’s the difference between enjoying shopping and having a shopping addiction? I enjoy shopping. In some ways, it is inherently addictive. When I walk into a mall, I fall prey (like most people) to marketing, packaging, and selling. I “crave” the new styles. I get a little hit of dopamine when I see myself looking great in an outfit I don’t own, and envision myself going somewhere fun in this perfect new look. I occasionally spend money I didn’t intend to, and I have made regretful purchases that were impulsive. I have clothes in my closet that have never been worn, because the bloom was off the rose once the tags were off. However, I don’t max out my credit cards, open new credit cards, have difficulty paying my bills, hide receipts, fantasize about shopping, or take secret shopping trips because I just can’t stop. An activity crosses a line into addiction when it is negatively affecting your life and you become dependent on it, and you can’t or won’t stop even when the consequences are clear. This is incredibly important, because I have spoken with so many women who use the word “sugar addiction” or “food addiction” to describe the experience of enjoying food. Food is so loaded with value and meaning – being inextricably tied to body image, weight, and self-worth – that we find it culturally difficult to separate the natural response that most of us have to tasty food (cravings for more, for example) from the destructive cycle of true addiction. You’re not alone! Our food industry is practically designed to make food difficult to stop eating. Hyperpalatability is engineered to make you crave more. But let’s get back to sugar specifically, and let’s leave science, studies, and research alone for a second. Let’s just use plain old common sense. It is beneficial for most people’s health in most circumstances to eat less sugar, and to reduce their consumption of processed foods, desserts, and sweets. It’s something our great-grandparents knew, that we have now over-complicated with dogma, scientific rationalization, and black-and-white thinking. We have wishful thinking that if we eat the right kind of sugar or sugar replacement, that we can eat things “guilt-free.” Let’s cut through all that and just acknowledge that you can eat anything guilt-free – guilt is a feeling, not an ingredient. Keep in mind that just because something shouldn’t be demonized, it’s not off the hook for being monitored. As I said before, it’s simply common sense to eat less sugar in general. I advise clients to watch their overall sugar intake, just like saturated fat or cholesterol. For women, it’s recommended to keep your sugar intake below 25 grams per day, which is easy to remember because 25 is also the number to shoot for for fiber. Trust me, if you get no more than 25 grams of sugar and no less than 25 grams of fiber in your diet every day, you will not be worried about sugar addiction. Aim to cook more of your own food. The more food you prepare yourself with simple ingredients, the less sugar you will naturally eat. Pay close attention to your beverage habits. The easiest way to over-consume sugar on a regular basis is through a soda, coffee, or juice/smoothie habit. Many “healthy” drinks are incredibly high in sugar, sending you way over the 25 gram mark in one serving. In terms of sugar-free sweeteners, I want to quote a former client of mine, Amy Mills, who is the owner of Nutrition 911. As a registered dietitian and professor, her advice is to “Treat anything sweet like it is sugar.” In other words, if something has stevia or Splenda in it, it doesn’t mean you can gorge yourself on it without negative health consequences. This is part of the black-white/good-bad continuum that creates unhealthy behaviors. That being said, do check labels for foods that “shouldn’t” have excessive sugar. For example, many “healthy” foods have sugar added to counterbalance the natural bitterness (or blandness) of the product. For example, many “protein bars” are simply candy bars dressed up as a health food. Keep in mind that some foods naturally have sugar, while others have added sugar. Fruit, for example, is not the sugar to worry about (for most people). When you eat a piece of fruit, you’re also enjoying the benefits of the fiber and micronutrients packed into a whole piece of fruit. However, fruit juice (the processed form of fruit), should be enjoyed sparingly, as it is more concentrated and lacks some of the benefits of actual fruit. Remember that sugar is sugar is sugar. Honey is sugar. Agave is sugar. Maple syrup is sugar. Organic cane juice is sugar. Coconut sugar is sugar. Brown rice syrup is sugar. Without demonizing sugar, it’s important to point out that if you’re going to aim for that 25 gram goal, you have to count it all. All foods are naturally guilt-free. Just because something shouldn’t be demonized doesn’t mean it shouldn’t be monitored, and taking action steps to reduce your sugar intake will certainly improve your health.